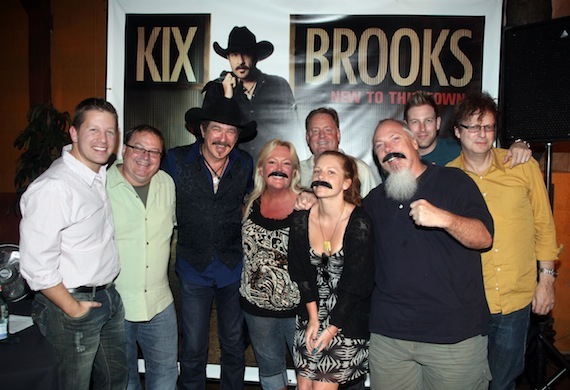 Kix Brooks celebrated the upcoming release of his Arista Nashville debut solo album, New To This Town, last night (7/16) at a listening party at Nashville’s Flyte. The project will hit shelves Sept. 11. Brooks produced the 12-song collection and tapped Jay DeMarcus of Rascal Flatts to co-produce the title track. Brooks also co-wrote nine of the songs. On July 10 Brooks made his solo debut on the Grand Ole Opry. Fans can pre-order New To This Town at http://amzn.to/KVBaHE.